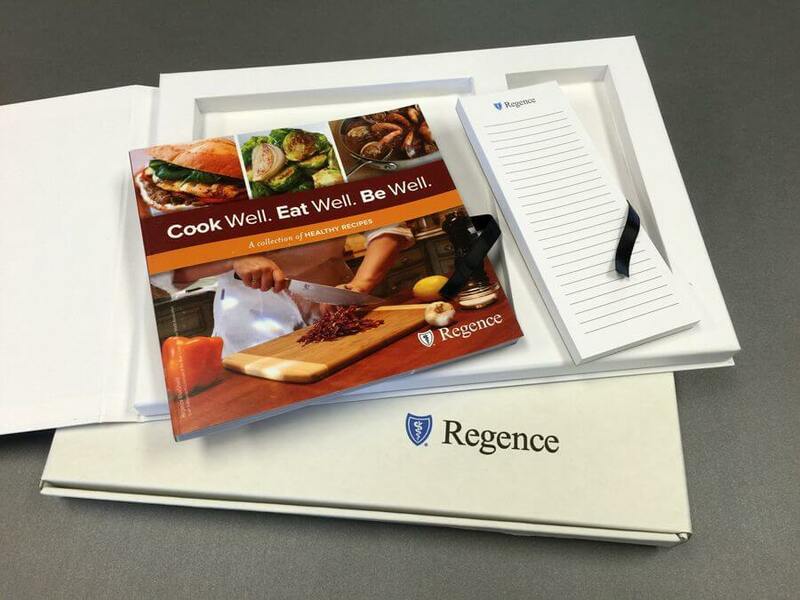 Regence Blue Cross of Oregon came to us with a healthy living cookbook and wanted a way to to make its receipt impactful for the decision-makers of the companies receiving it. They wanted not only additional items, but the complete packaging as well – to make a fully branded experience. Ideas centered around what would pair well with the cookbook, and eventually, a branded notepad was selected. It could be used to list ingredients or plan daily goals. 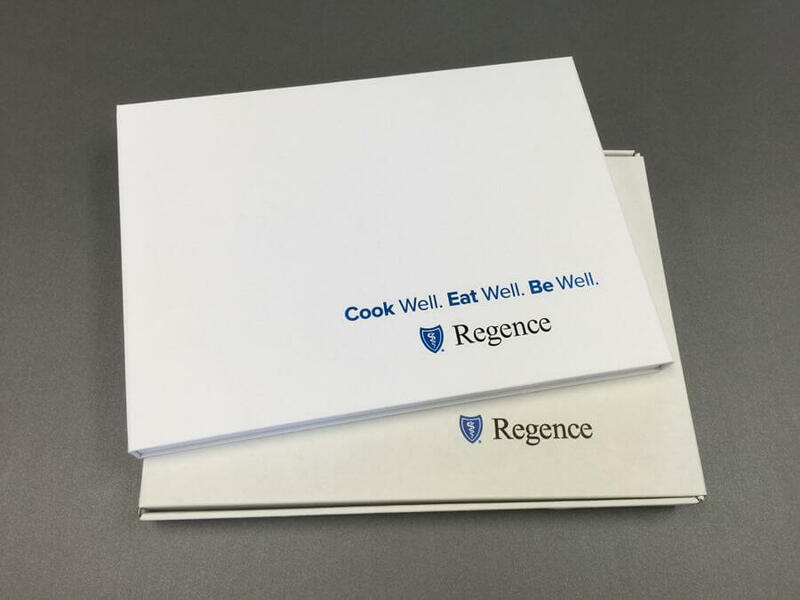 We designed the notepads with Regence branding to complement the dimensions of the cookbook. Now, we could start thinking about how the items were going to be presented and shipped. A custom cigar-style box structure was designed to hold the items side-by-side. From here, we were able to consider all fine details; the material of the box, foil stamping the logo, a magnet closure system, and the a personal touch of a handwritten letter to each recipient. The presentation box not only contained the individual items but was also meant to be an item the recipient would want to keep. The whole design then went into a custom fit shipper box that had printing on the outside with a message to intrigue the recipient, also alluding to their key partnership with Regence Blue Cross of Oregon. The response was incredible! We made sure no detail was left undone for a seamless presentation for both Regence Blue Cross of Oregon and the recipient.